The National Audit Office and Her Majesty’s Inspectorate of Constabulary have jointly produced a practical guide on procuring and managing partnerships with the private sector. 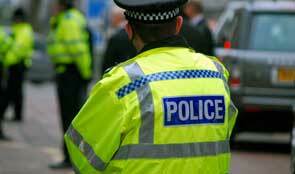 Police forces in England and Wales have contracted with the private sector for several decades. However, this activity has increased over the last two years as the service responds to the budget reductions required by the 2010 spending review, with more forces agreeing high-value, long-term contracts. In summer 2012, the NAO and HMIC committed to working together to produce a practical guide on procuring and managing private sector partnerships. This guide is based on good practice and areas of learning identified in the police forces we visited. It is informed by our wider expertise in policing, commissioning and private finance. Major business partnering, where the force contracts a private partner to provide a significant area of policing (for example, by outsourcing business support services). These contracts are typically high value and medium term (up to ten years). Custody partnering, where the force contracts a private partner to provide either services (for example, detainee management, catering and cleaning), buildings or both, including through private finance initiative (PFI) contracts. PFI contracts are typically long term (between 25 and 30 years). Consultancy support, where forces purchase skills and expertise to help a transformation. These can include contractually committed levels of savings. Contracts are short term, typically one to twelve months.